A spacious three bedroom semi detached family home on the popular Elmhurst development. Benefiting from driveway parking for numerous vehicles, replaced combi gas boiler and new carpets. The property is presented in good order. 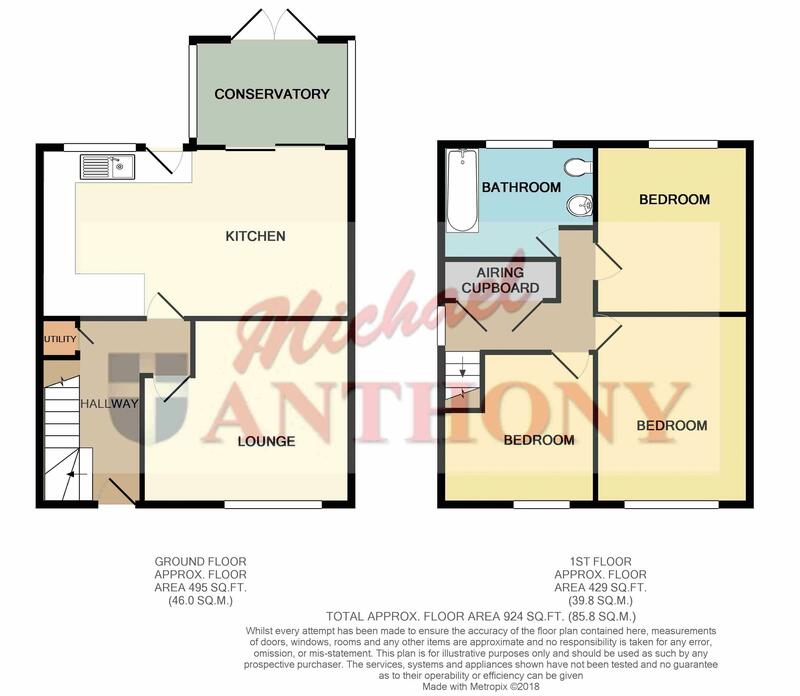 Accommodation comprises entrance hall, living room, kitchen/diner, conservatory, three good sized bedrooms, family bathroom. Call to view. Wood effect flooring, radiator, storage cupboard, doors to lounge and kitchen, stairs to first floor. UPVC double glazed window to front aspect. Wood effect floor, radiator. UPVC double glazed windows and doors to rear aspect. Power and light, radiator. Fitted with a range of base and eye level units with work surface over, oven and five ring hob with extractor over, built in dishwasher, one and a half bowl single drainer sink unit with mixer tap, wood effect flooring, radiator. Airing cupboard housing combination boiler, doors to bedrooms and bathroom. UPVC double glazed window to front aspect. Built in wardrobe with shelving. Frosted UPVC double glazed window to rear aspect. nPanelled bath with shower over, low level w.c. wash hand basin with mixer tap with storage unit under, tiled splash backs. Driveway parking for numerous vehicles. Laid to patio with fence borders, gated side access and gravel area.